I was at the airport the other day waiting for my flight to leave when I engaged in a conversation with a retired teacher. I love to meet new people and find out about them. She was telling me how she would love to play Mozart in the morning to her students. She said that it created such a peaceful mood in her class. Classical music has proven to relax and create a profound learning effect on the minds of children. So why isn’t it played in every school? What if each day students walked into their classroom listening to classical music? Can this change the brain waves of the children? Children as well as adults learn when we are in an environment of feeling safe and nurtured. The prefrontal cortex of the brain is receptive to creating new ideas and willing to open up and share. When we feel threatened and fearful, the brain shuts down and we go into into a fight or flight protective mode. So which environment do you want your children exposed to? Teachers having guns or playing Mozart in the morning? Raising happy, healthy smart and and peaceful children is the result of proven science. Creating an environment that promotes this is just implementing it. Let’s play Mozart rather than arm the teachers with guns. Here is some Mozart to start your day! Your thoughts are greatly appreciated. Want to learn more about how to train your brain? Hire a coach today. Coaching changes lives! Wow, when I first heard that statement, it was so powerful that it rocked my world! I thought to myself, could I have that much faith? Could I be so bold and start doing the things that I really desire? Could I live the life that I dream about? Well the first thing I had to do is say YES! To risk playing it safe and go for it. To get uncomfortable is something I have been doing, however this year I want to step it up. I decided that 2018 is going to be the year that I really step into my greatness. I am working on a song about awakening the spirit within, which I know is going to be a world wide hit. I just booked a trip to India to celebrate the grand opening of a school for orphaned children and homeless women, in which I donated a large sum of money to and am leaving for Australia at the end of the month to host a playshop. I am also going to California in February for another one. This is just the beginning of the most exiting and fabulous journey! So my question to you is, what are you going to do to step out and live on your edge? Are you ready to live your best life? Are you ready to step into your greatness? It is inside of you! All you have to do is say YES! I could never have done this alone. I had coaches there to support me and still do. So let’s talk about YOU! Isn’t it time you took the next step to the edge? Let’s talk, I am here to assist. NOW, is your time!!! 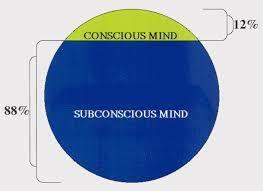 The power of your subconscious mind, holds the answers to all of your problems. This is the storehouse of all your memories, thoughts, beliefs, and behaviors. It is also the part of you that is connected to infinite intelligence or the universal mind. You can alter your life by altering your thoughts. Most people are unaware of this phenomenal source of power that can alter their lives. This part of you can only accept what you consciously believe. It has no ability to choose. If you believe it is a dog eat dog world, then that is what your subconscious mind will manifest in appearance to you. Our world is a collective manifestation of false beliefs, therefore what appears before our eyes is the illusion of these beliefs. The good news is that you can change the programing you were brought up to believe by first understanding and becoming aware of the fact that you were programmed. You can alter your life. Through repetitive actions, study, and coaching, you will eventually gain the power to live a life full of all the wonderful goodness and riches. You can look at your subconscious mind like the depths of the ocean. There lies a vast and rich underworld beaming with life that we haven’t even begun to explore. If you are not consciously aware of the fact that you can alter your life by altering your thoughts, nothing will change for you. Heaven on earth is possible. Do you believe it? Jesus did.